Since the news that BMW Motorrad would be releasing a smaller sized engine I’ve been enthusiastic to give it a go. And now having had the chance to really experience it, I can say that BMW has solidified, yet again the quality and ingenuity of their brand but now at a price of just $5200. (Canadian) dollars! 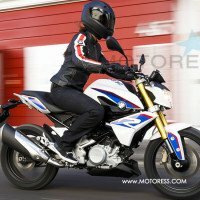 Judging the BMW G 310 R purely on looks and finish, it compares very well. In fact one of the most striking things about the bike is how little of its budget considerations show. The resemblance to the S1000R is clear, but so is the quality of the paint, the depth of the plastics and the finish on components, the sparkling silver bar clamp, massive top yoke, gold upside down forks, the pillion rails – they all look special. And its workings are good too. 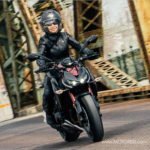 BMW’s partnering with major Indian manufacturer TVS allows lower manufacturing costs, which delivers a motorcycle at a price point that BMW hasn’t offered for decades. 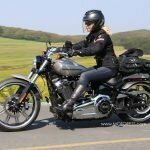 The engine is interesting – it’s a backward-facing single cylinder, with the exhaust exiting directly back near the rear shock. This is a design sometimes seen on single-cylinder motocross engines, with the aim to lower the centre of gravity and simplify exhaust routing. The G 310 R has an output of 25 kW (34 hp) at 9,500 rpm and a maximum torque of 28 Nm at 7,500 rpm, which once I got a feel for, provided more acceleration and punch than expected. 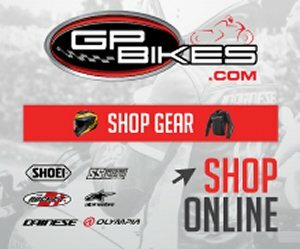 If you look at the G 310 R you can’t believe it’s a small CC bike. It appears large. And when you sit on it, you’ll feel proportionally suited. And for my proportions it fit like a glove. And though you might think this is for the smaller person, the sit position doesn’t feel cramped or undersized on the bike; the seat is wide and firmly padded, the bars are within considerate reach and pegs average. Though I did find after riding for a few hours, I would take to adjust it for a bit more leg room. On paper the G 310 R definitely appears deceiving in the power area. Yet once you get the feel for keeping it in the higher rev zones, the G 310 R gives you the power you need with a heady 10,000 rpm redline. Its peak torque is at 7250 rpm. That’s a lot of revs for this single. The compact, dynamic proportions and the short wheelbase promise fast changes of direction. The bike is well-balanced with surprisingly good ride quality for its price and size. Bumps are flattened, there’s no chattering through the bars, and when braking under normal or hard situations there is a totally solid feel through the front. And ABS is standard made by the same company who supply the S1000 series. Impressive! 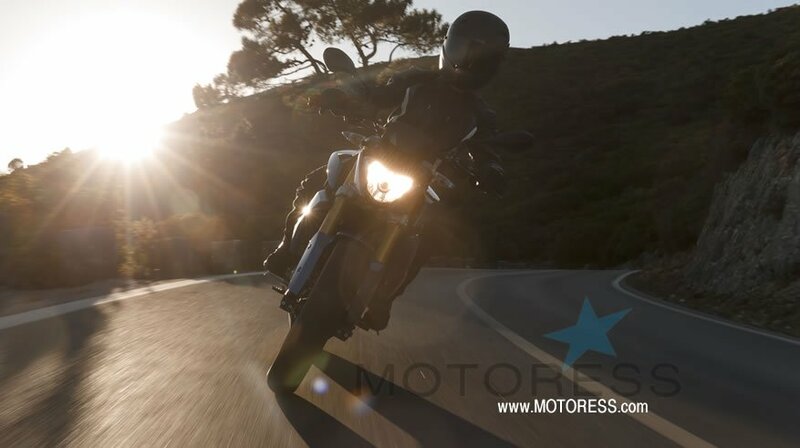 On the road, the BMW G 310 R pushes through its six-speed gearbox quickly. I found my shifts were short and that keeping the engine in the power zone at higher near redline revs kept the power strong. Usually, the down side with a single cylinder engine, of any capacity, is vibration. But BMW has done a great job at smoothing this out. There is some tingling in the fingers once you get to the higher revs, but it’s hardly distressing even after a long steady ride. And on that I managed to get about, 290 kilometres from the 11-litre tank. When the tank was filled it showed a range of 300 kilometres, including reserve, which would be about right. Services are required every 10,000 km with valve clearances checked every 20,000km. The LCD instrumentation is informative and attractive. 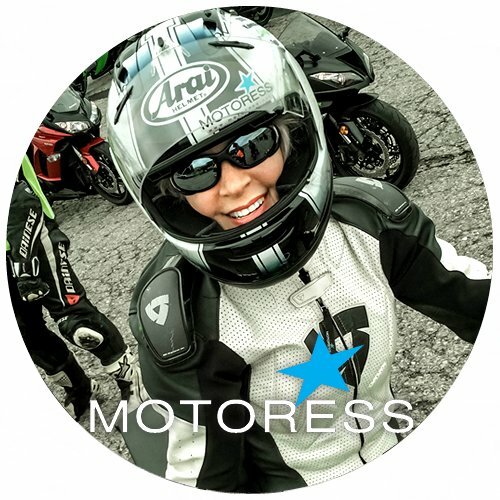 A gear position indicator, fuel gauge and range countdown are handy features for any rider and particularly beneficial to those just starting their motorcycling life. You will love to take a friend for a ride on the G 310 R as this feisty single has a maximum weight load of 186.5kg. That’s similar to many of the larger capacity motorcycles in regards to carrying capacity. 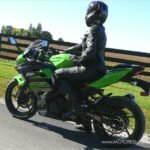 This underlines the G 310 R is to be treated as a proper full size motorcycle. 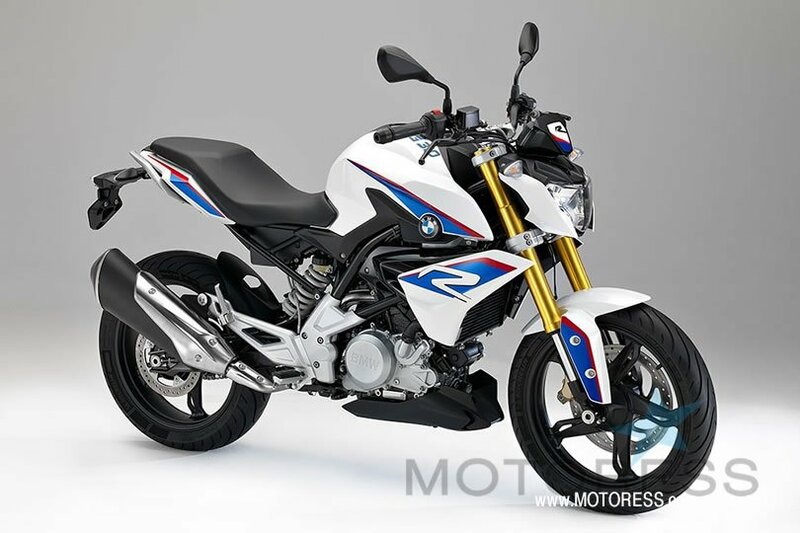 Some of the traditional BMW niceties, which I’ve become accustom to enjoying – such as traction control, standard heated grips and fully adjustable levers are missing from the G 310 R . Well, if you’re not used to having these features you’re ok. Yet I have come to expect at least the infamous BMW heated grips and I did miss this option. Yet the lack of these features gives you the amazing low price. After putting nearly 1000k on the G 310 R both city and highway, I can assure you I had a blast on the bike. I’ll be honest, initially I was turned off. I felt the other small engine bikes I’ve ridden had much more power. I was wrong. 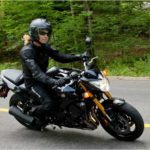 When I adjusted my big bike expectations, remembering it is a single and brought the revs up, it all changed. I was entirely impressed. I was able to get the bike into fast power zones and equally to impressive high speeds. Equally the G 310 R impressed me with its ride quality and looks, both of which I feel, exceed anything the class has to offer. Stabile ride even at highway speed. Precise steering response and sound handling. Dynamic roadster design which echoes the S 1000 R.
Clutch – Multiple-disc clutch in oil bath. Visit the BMW website to find a dealer near you or to book a test ride. Great review Vicki. I’ve been looking for a smaller fun bike to ride to go along with my Thruxton, and apparently I missed the memo on this little BMW. You’re right, the resemblance to the S1000R is uncanny. When I first looked at the post, I thought that’s what it was..